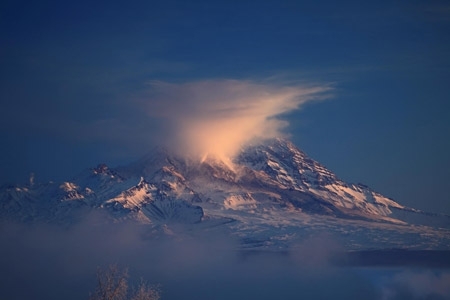 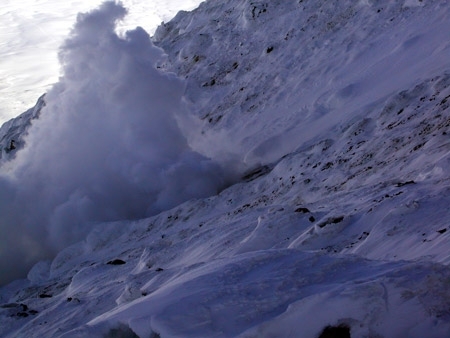 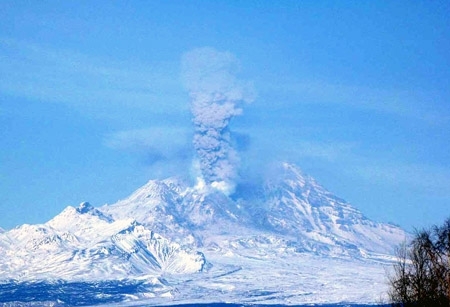 Beginning of the volcano eruption on March 08, 2012. 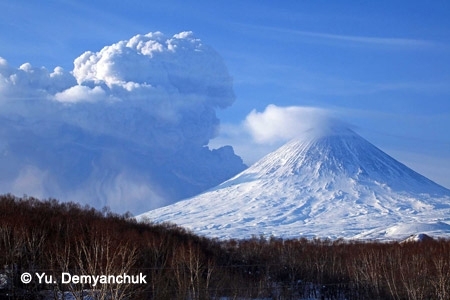 Ash plume of Bezymianny volcano extends from behind Klyuchevskoy volcano slope. 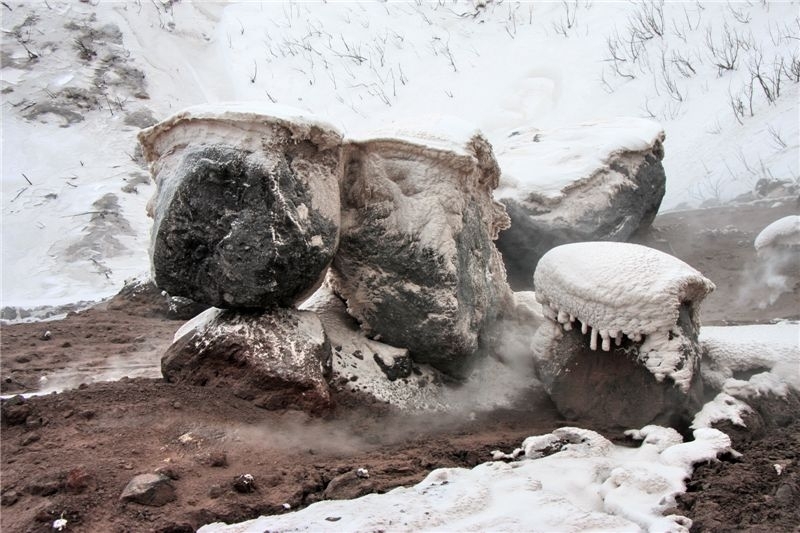 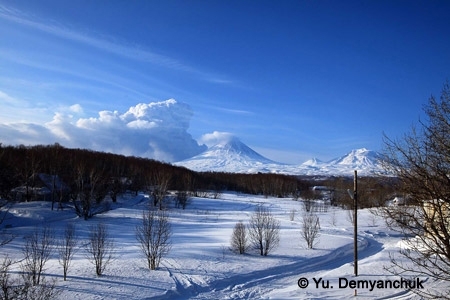 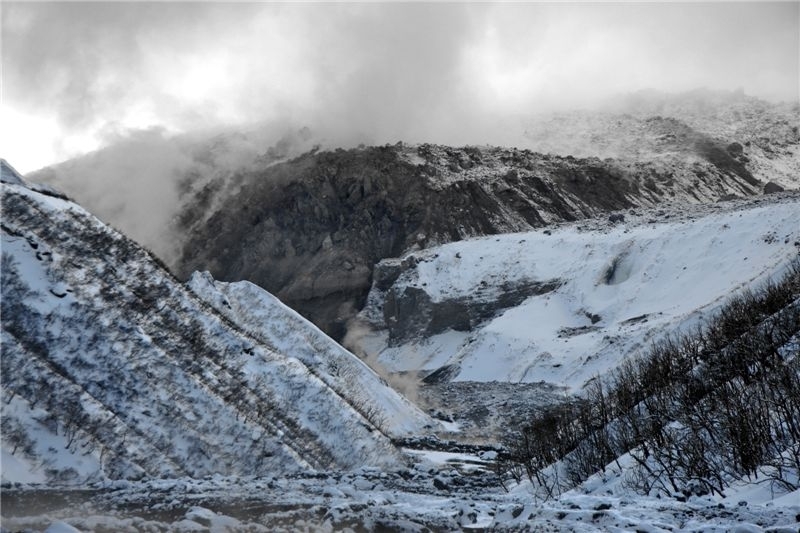 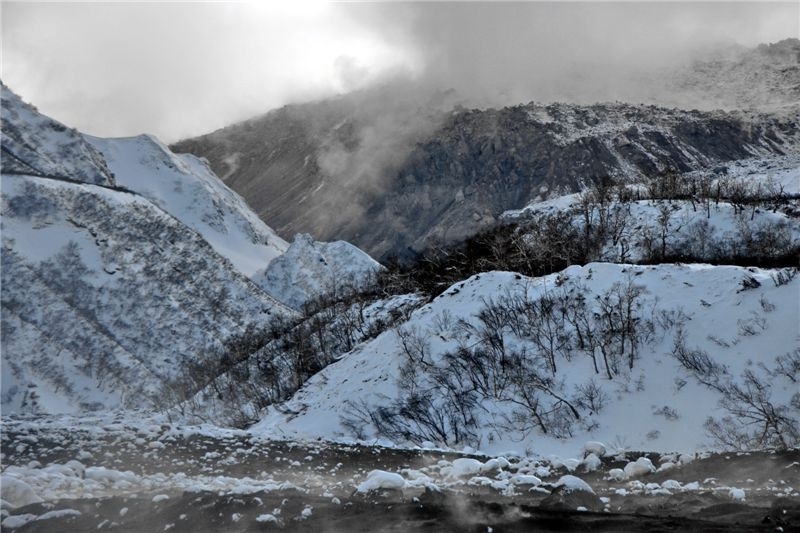 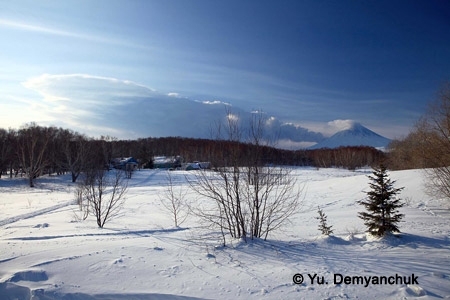 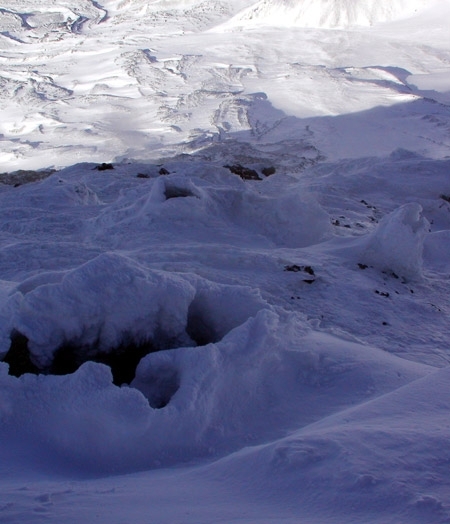 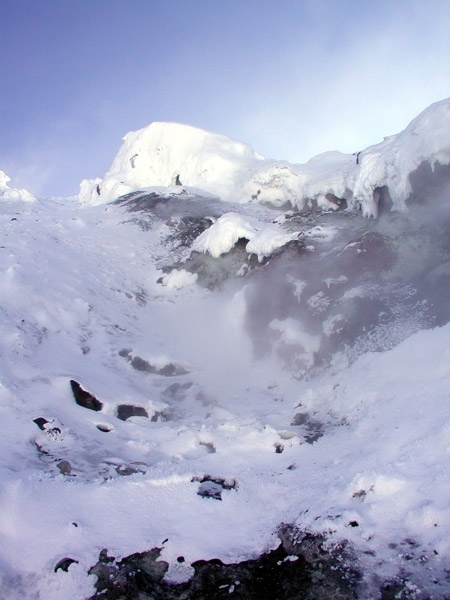 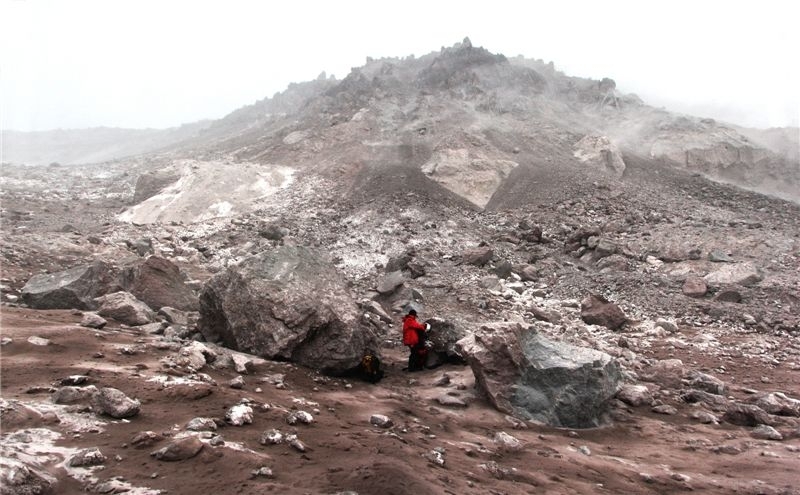 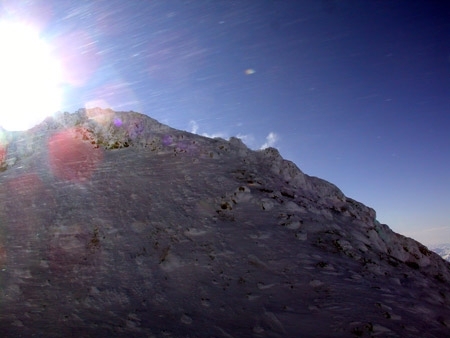 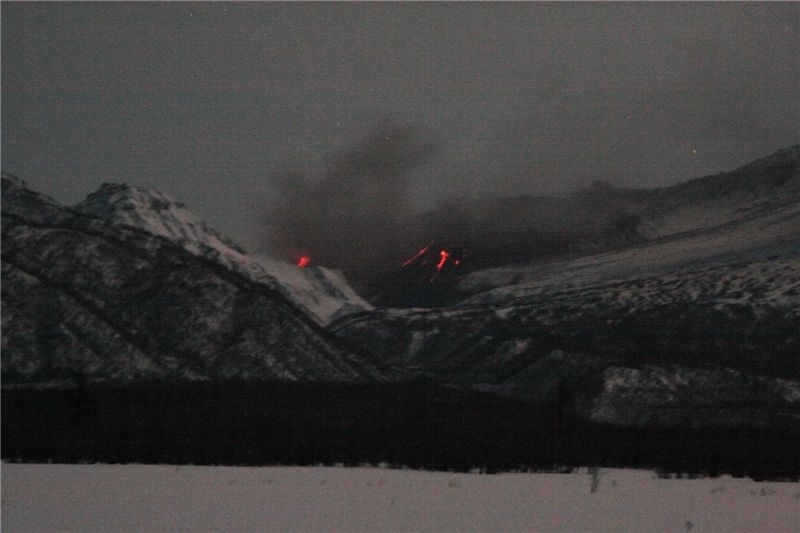 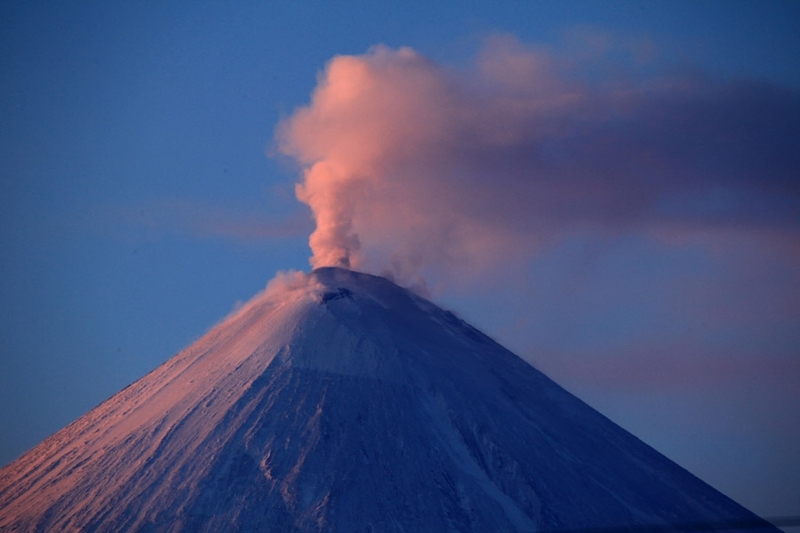 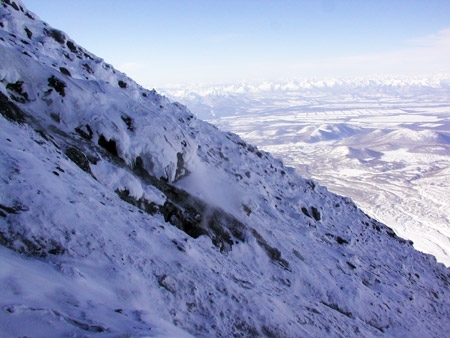 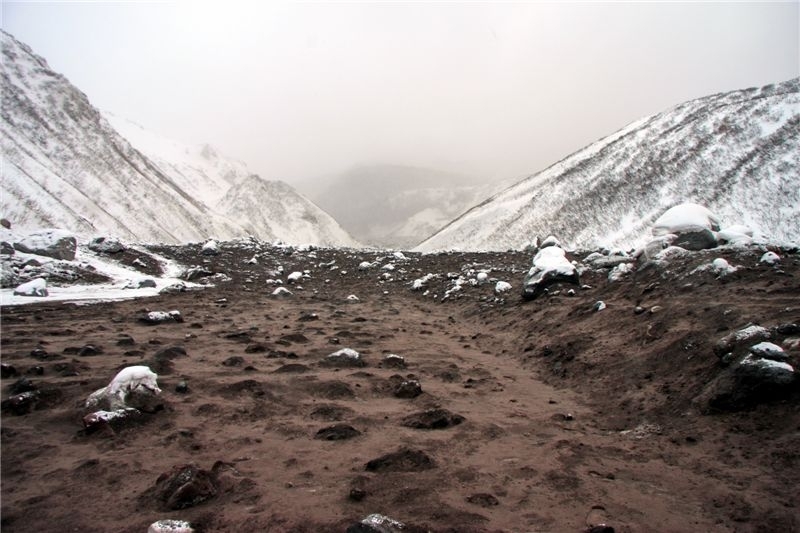 Photo from Levinson-Lessing Kamchatka Volcanological Station. 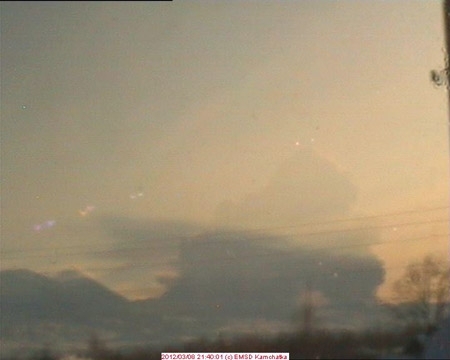 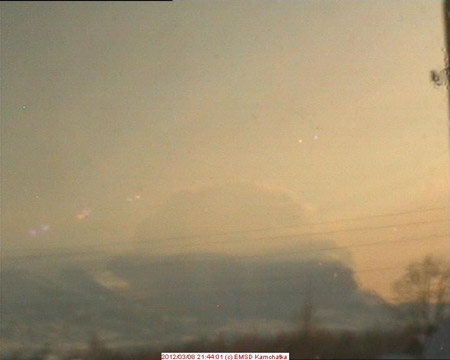 Culmination of the volcano eruption at 21:40 UTC on March 08, 2012. 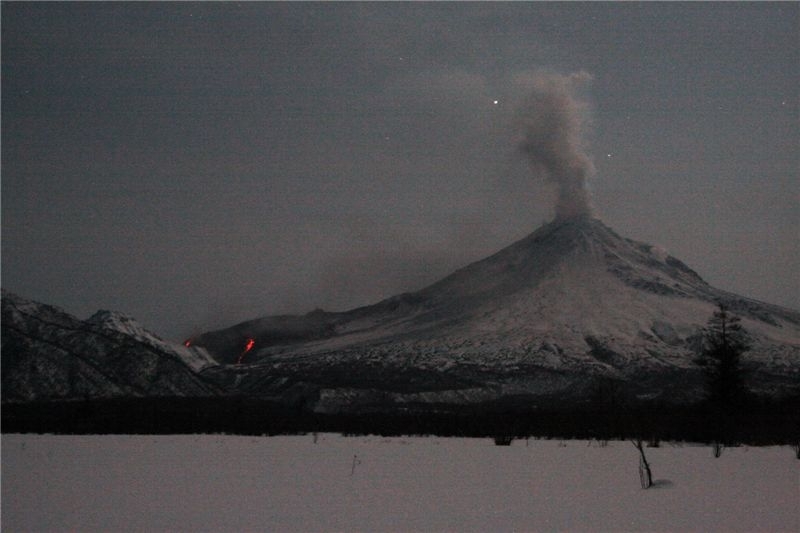 Culmination of the volcano eruption at 21:44 UTC on March 08, 2012. 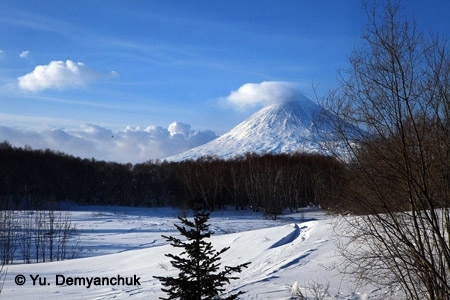 Eruptive column of Bezymianny volcano rises from behind Klyuchevskoy volcano slope. 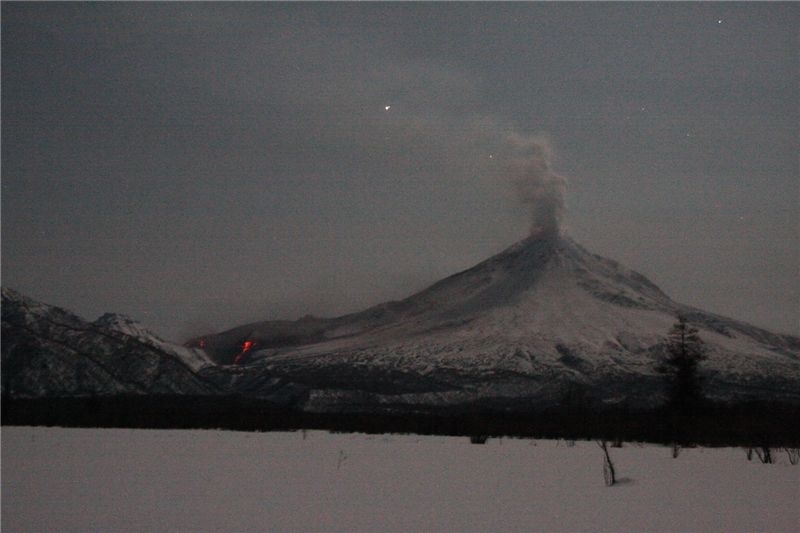 Photo from Levinson-Lessing Kamchatka Volcanological Station. 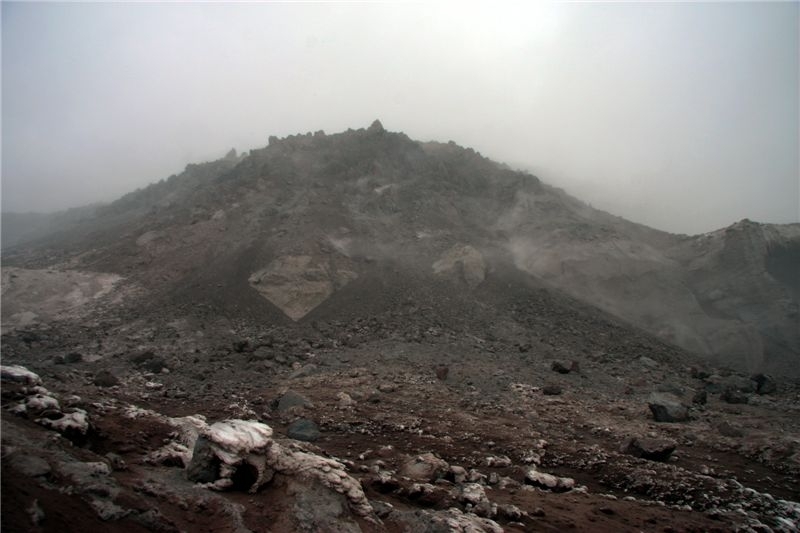 Culmination of the volcano eruption at 21:41 UTC on March 08, 2012. 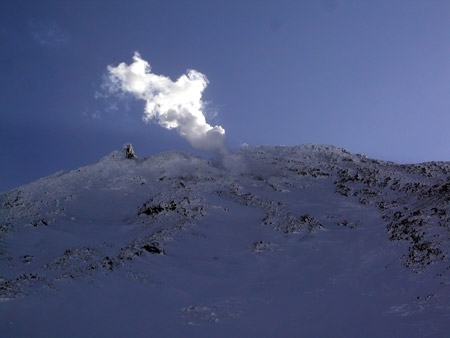 Gas-steam plume about 1 km of height above the volcanic crater.